ASRock is a relatively new company when compared to some of the motherboard manufacturers out there. Started in 2002 they wanted to use a 3C model, “Creativity, Consideration, and Cost-effectiveness”.ASRock has always been one of the first to implement a new technology into their motherboards. They were the first to offer a front panel USB 3.0 bundle. ASRock is also the first (and only to my knowledge) to offer an Intel P67 chipset that supports Intel Lynnfield LGA 1156 CPU’s. Nope, that’s not a typo, it really does use processors in the LGA1156 package! 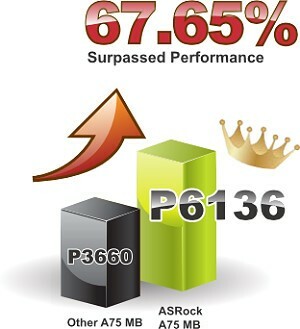 Curious, you can find details on the ASRock P67 Transformer on the ASRock website. The ASRock P67 Transformer is just one of the many unique things that ASRock has done in the past and present. What we have today, isn’t as unique as the P67 Transformer though it should be just as much fun if not more. 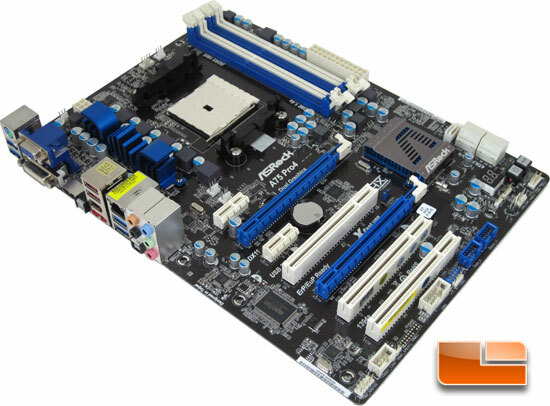 The ASRock A75 Pro4 is one of six socket FM1 motherboards that ASRock offers up. The prices for the ASRock line up of AMD APU motherboards range from $69.99 for the ASRock A75M-HVS to $129.99 for the ASRock A75 EXTREME6. The ASRock A75 Pro4 I have in my grubby little hands today sits pretty at only $109.99. Not a bad price for all of the features that this board has for us. ASRock was able to hit a score of P6136 in 3DMark Vantage with the ASRock A75 Pro4. They are claiming a boost of 67.65% over other AMD A75 motherboards. On our previous socket FM1 motherboards we have seen scores hovering between P4150 and P4200, this is a far cry from the P3660 they are claiming for the other motherboards. ASRock does have a little disclaimer stating that the P6136 is achieved with an overclocked system, though they don’t tell us what the overclock was. We will see what we can hit both stock and overclocked under air cooling in the coming pages. We have a lot to cover in the coming pages. Join us on the next page as we take a look at the retail package and bundle that accompanies the ASRock A75 Pro4 APU motherboard!